Today’s Cool Album of the Day (#423 in the Series) is Rave On Buddy Holly. At one point, we were doing some major renovations that had to be done only at night after the stores closed. I was the head of one of these projects. I had to use existing employees or even hire additional personnel. Then move them around the mid-west and take on this night –by-night challenge. I’ll never forget the night we had just finished the Ames, Iowa location. After that was finished, the next one would be in Albert Lea, Minnesota. It was still pretty dark when I left Ames and started heading up north via I-35. The sun was just starting to rise; it was foggy and dreary when I saw a sign that said “Clear Lake.” I was passing by Clear Lake, Iowa…. I knew I knew that name. I knew that name, but I didn’t know why. Then it hit me like. They Day The Music Died! That was the scene of the crash that killed Buddy Holly, Ritchie Valens and the “Big Bopper” amongst others. It was really an eerie scene. It was surreal actually. What an effect that Buddy Holly left on the music world. Do you realize he did all this and was only 22 years old when he left us? He also seemed like one of the great 60s singers because his music was so far ahead of its time. Well, he died in 1959. This gets us, finally I guess, to this spectacular album of a wide-variety of artists paying tribute to Buddy. How good is this thing? Let me say this. I think that Sir Paul McCartney covering “It’s So Easy” may be my least favorite song of 19 that are included here. Paul- Don’t change the melody on a tribute album. It’s his, not yours. Worth mentioning are: Fiona Apple and Jon Brion do a nice mellow version of “Every day.” I’ve heard this done many times by many artists. This subtle version is a standout. “(You’re So Square) Baby, I Don’t Care” via Cee Lo Green is another killer track. 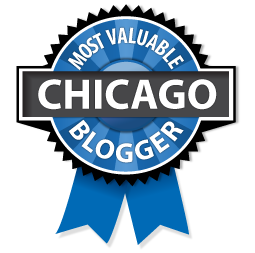 This could get airplay all over the dial. He’s got a way of doing that. I really like “Crying, Waiting, Hoping” – Karen Elson. At first listen I thought this was Jenny Lewis and the Watson Twins. That’s the feel I get from it. One of my favorite artists, Justin Townes Earle does a good job on “Maybe Baby.” It’s pretty true to the original. “Oh Boy” really works. I think mainly because Zooy voice sounds great. One of the reasons that I like “Changing All Those Changes” from Nick Lowe is that I’ve been waiting a long time to hear him sing something like this again. I love his “mature” albums but it’s great to hear him approach a song like he did in the Rockpile day. We need more of this Nick. Patti Smith does an absolutely moving version of “Words of Love.” This is one of the best tracks here. If that’s not the highlight on the album then “True Love Ways” by My Morning Jacket is. These two songs back to back are just perfect. I didn’t expect to like this this much. The biggest surprise on the album for me is easily Kid Rock and his reading of “Well All Right.” His version is an Otis Redding, Sam Cooke, James Brown soul version and he out right nails it. Believe me, I’m not a fan of Kids. That doesn’t matter. He really does a great job on this. A band I’m not familiar with at all called the Detroit Cobras does a killer version of “Heartbeat.” I’m going to find more Detroit Cobras. I think they sounded great. Lou Reed does a grungy, hard version of “Peggy Sue.” I guess it’s OK. The more I hear it the more I like it. Grunge with strings in the back, yeah, why not, some great guitar on it. 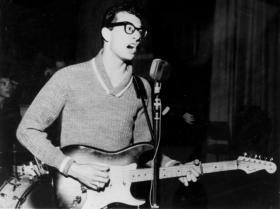 I always respected and liked Buddy Holly. I’m not usually a big fan of these tribute albums. I always felt, why not just listen to the original. This album is an exception to that. Maybe since these songs are all over 50 years old, I’m not sure why, but nearly this entire album works for me. And much of it surprised me as well! I started thinking after I listened to this whole album. 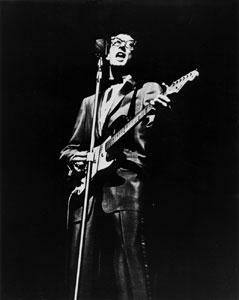 I started wondering how things would have been different if Buddy Holly hadn’t lost his life that night in Clear Lake. I’ll go as far as to say that I don’t think the British Invasion would have had the impact that did have. There was a real void after Holly left. We had “performers” before, but none that really could have impacted the rock and roll world as a performer and more so as an absolute fantastic songwriter as well. His impact would have been huge. With out that void.. who knows what would have happened, or maybe, not happened. I might have to give this a re listen – being a big fan of JTE i copied his one song to my IPOD – the McCartney track ruined the whole disc for me and that’s not fair to the other artists or to myself for that matter . I had even forgotten that Nick Lowe was even on this disc! You really should listen again Rob. I don’t like the McCartney track as I said., but there’s some great stuff on it.